Hot on the heels of Christine Singer’s nuanced review of Jahmil XT Qubeka’s Of Good Report, Emma Dabiri shares insights from her recent conversation with Qubeka – exploring whether Of Good Report can be described as a ‘horror film’ or even a ‘black horror film’, and celebrating the role of the imagination and the autonomy of the audience in his film-making. Prowling between horror, noir and macabre comedy, Of Good Report is a beautifully shot, stylish, off the wall account of the dark heart of a seemingly mild mannered high-school teacher. After the film’s UK premier, I meet director Qubeka and tell him of a heated debate I had with an audience member following the screening. We had argued as to whether or not Of Good Report is a horror film – for Qubeka, however, the answer is clear. It’s blatantly a genre film, its not some serious drama you know what I mean? It’s a fairy tale, for me at least, its a dark, grim nightmare tale, it’s a horror film. I think people watch it and they aren’t sure whether they want to see it as a genre film or as a social critique, or as a serious film, because for me, its kind of both. There’s a certain intended bubble gum element. This world isn’t necessarily real but at the same time the textures and characters make it very real, and I think that’s why people may put it up for debate. While such views may seem surprising, they are not uncommon. The irony however lies in the depth to which these clichés are incorrect. 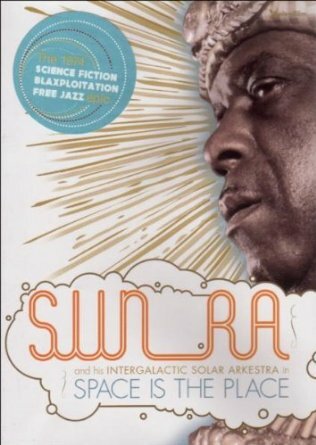 In his 1974 film Space is the Place futurist pioneer musician Sun-Ra considered space the ideal site to reconstruct black humanity, free from the limitations which circumscribed black life in the earthly realm. Similarly the future, reimagined pasts and the dimensions of the other-worldly have long been the landscapes in which black innovators have reworked their fates. Imaginative and speculative genres have rendered open spaces in which we can both challenge negative representations of blackness and experiment with more diverse formulations than those that have been promoted in mainstream spaces. Such potentiality has been taken up in literature, from Toni Morrison whose work plays with time, and whose worlds are populated by spirits, murderers, men who can fly and a whole host of mystical and mythical beings, to Octavia Butler whose fiction spans galaxies. 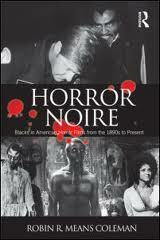 In her critical survey Horror Noire (Routledge, 2011) Coleman positions the horror genre similarly as a domain in which negative constructions of blackness can be inverted. She suggests George Romero’s Night of the Living Dead (1968) is of great cultural significance because of this, not only is it arguably the ‘first film to have a black man playing the lead role regardless of, rather than because of, his colour’ (Romero cited in Coleman 2011: 106) but the black lead, Ben, is also the film’s hero, and his interactions with the white characters in the film throw the racist dynamics that characterize black/white relations in the US into sharp relief. Unfortunately however, such notable exceptions aside, the possibilities for racial transformation inherent in film are rarely actualised to their fullest potential. Traditionally, black folk have not fared well in horror films. Where we were featured at all -‘the black guy always got it first’ – black bodies in horror reduced to little more than sensationally transgressed organic material with which to bump up the body count. On occasions where black characters are permitted leave to remain beyond the opening scenes, we appear as zombies, slaves and voodoo priestesses with depressing regularity. Horror films with majority black cast and crew are rare – those that do exist can usually be noted for their B-movie type qualities and Blaxploitation themes. When I discuss this with Qubeka he mentions that he’s influenced by B-movies although, while this may be the case, Of Good Report is considerably slicker than most B-movie offerings. Considering African contexts more specifically, many Nollywood movies undoubtedly display elements of horror, but Nollywood is characterized by a particular look, feel, and aesthetic that again is not comparable to that Of Good Report. Coleman distinguishes between “blacks in horror” films, and “black horror films”, the latter often having black directors and writers as well as black performers. In many regards Of Good Report fits Coleman’s criteria for a “black horror film”. 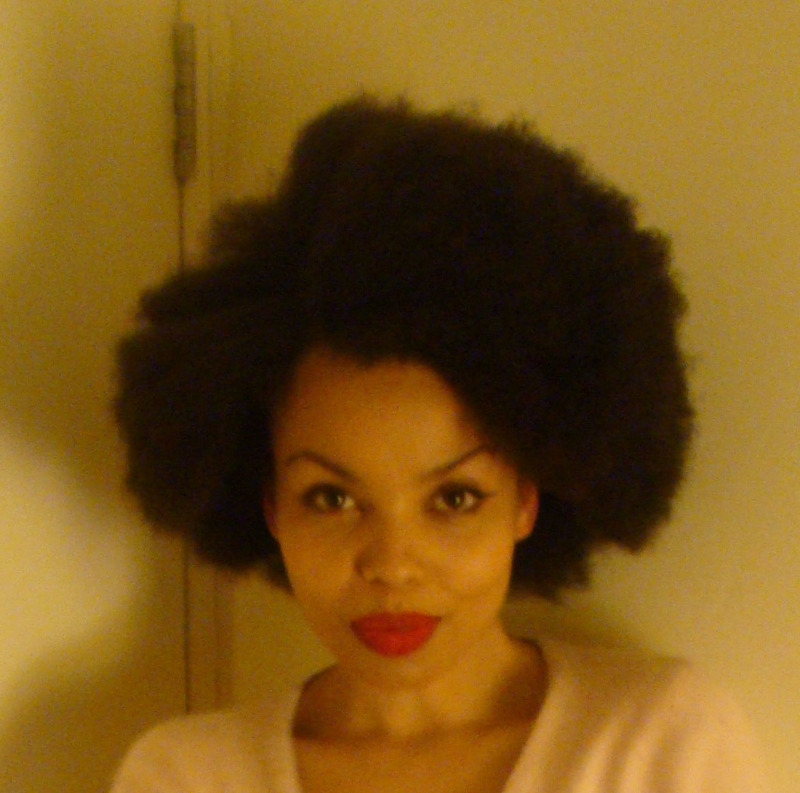 However, according to her definition, “black horror films” are also “race films” (2011:7). For this reason I would be reluctant to categorize Of Good Report as a “black horror film”. 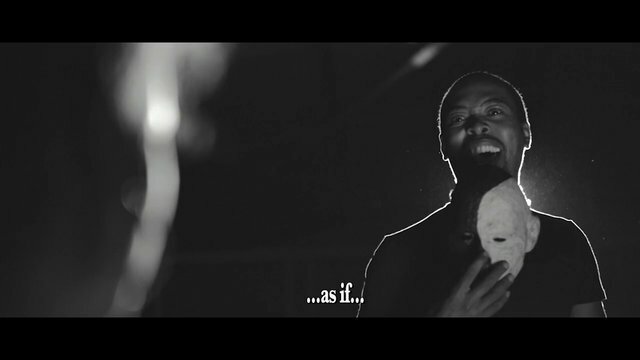 While the director and the entire cast are indeed black and the dialogue is comprised of a mix of South African languages, Of Good Report is not a film that calls attention to racial identity, or highlights racialised dynamics between black and white in the way a film such as Night of the Living Dead does. To describe a film as a South African horror in which the characters are black sounds simple enough, but this seemingly innocent fact can be read as a somewhat revolutionary act. Of Good Report represents what could be seen as a watershed in cinema. Unlike in “black horror films”, racial identity politics are not central to its plot, nor even apparent in the narrative. The characters that populate its monochrome world are not circumscribed by the limited roles reserved for black actors in genre films. While much work remains to be done in the sphere of critical race studies, and art remains an integral way to probe, interrogate and extend these discussions, there is also the real need for a space in which art created by black people is liberated from overt considerations of racial identity politics. While Of Good Report is undoubtedly of special significance to black film, it is ultimately a universally accessible piece of art that should appeal to global audience, both populist and critical alike. Never see the fear, it’s a huge disappointment. With a film or a great book, you want to immerse yourself in that world, -especially if you like horror stuff- you have to be scared, so what I’ve kind of found is that the more that I take away the more that there is to frighten people. If you see how I’ve handled the violence against Nolita [the film’s femme fatale], people are so disturbed, but in fact, I show far less then they believe. In that scene I take the camera away and I go to the perspective of the little boy. He’s not aware of what’s going on, it’s just him and his dog, and he’s upset that he can’t carry on with his video game. He’s just walking across the yard and it just so happens that as we go past, that in the background, through a silhouetted window, we see Nolita’s brains being splashed out, but its silhouetted, and the camera doesn’t stay there, it continues with the boy .The rest is in your head and that place is more scary then anything I could give you. Qubeka’s approach –providing the audience with a level of autonomy, creating a space where they can work their own way through the narrative- permeates his philosophy far beyond techniques of how to convey horror. Film is there to entertain, to enlighten. I’m certainly not an advocate of entertainment for entertainment alone though. It needs to be engaging, and thought provoking. Even if its comedy. I’d rather it be far more open process in how each person interprets cinema for themselves, rather then just saying cinema is supposed to be an education. If I look back home at the kind of rhetoric I’ve heard, the kind of expectation of what filmmakers are supposed to do that leads to a certain way of doing things. I don’t tell a story necessarily because I have a certain type of ideology to convey. One feels he has a lot to say, yet allows for multiple ways in which the elements of his work can be interpreted. He tells me that an upcoming project (one of many; Qubeka has a lot of plans) is a feminist tale, one he has developed, in part to ‘purge my misogyny in Of Good Report’ (incidentally I would not label Of Good Report a misogynistic piece of art). Without giving too much away, it’s an Afro-futuristic sounding affair set 50,000 years ago in the Kalahari desert. Listening to Qubeka describe it, I cannot help but think how far Black African filmmakers have liberated the medium since the dark days of the ‘ethnographic’ filmmaking of directors like John Marshall, and his racist construction of the so-called Kalahari “Bushmen” in the feted 1957 film The Hunters. Speaking to Qubeka fills me with hope. Perhaps he is harbinger of a new dawn – although perhaps this is too hyperbolic a mantle to bear. Regardless, his fertile imagination and deft technique suggest a man capable of recalibrating not just African cinema, but the landscape of film itself.